Are you the parent of a young athlete on a club or select sports team? If so, part of what you sign up for is traveling, either weekend or longer trips over holiday breaks from school. If done right, these trips can make lasting family memories and help you celebrate your child. Try these 40 tips for organizing your family for your next sports-filled trip. Schedule Routine Car Maintenance - Get your car serviced if needed. Pack an emergency auto kit and check your spare tire. If you’ll be traveling frequently, think about a AAA membership and make sure you know where all your car insurance information is. 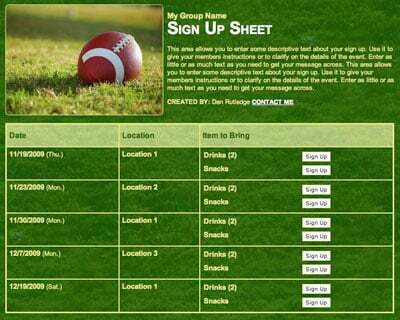 Store Contact Info - Be sure you have phone numbers of coaches or other key organizers in case you have an emergency. Stay Connected - Sometimes hotel Internet can be spotty, so locate some nearby Wi-Fi spots if you need to spend some extended time doing work and/or giving the kids screen time so you don’t eat your whole data plan in one trip. Just remember to avoid public Wi-Fi (or download a VPN) if you’re working on any sensitive work for your job. Download Entertainment - To save data, download music and movies before you leave to keep the crowd entertained. Need more entertainment ideas? Try some of these road trip games. Have a Plan - If you are carpooling, make a packet of important information for anyone who will be supervising your child. Include a list of medications with specific instructions and a copy of relevant insurance cards. If you’re a coach or team parent, get parental consent filled out so medical providers can help your child without issue if needed. Make sure to talk to your child about appropriate car behavior beforehand as well. Think of Injuries - Sports-related injuries are even tougher when you’re away from home. Research a pediatric emergency room and pharmacies that will be nearby. 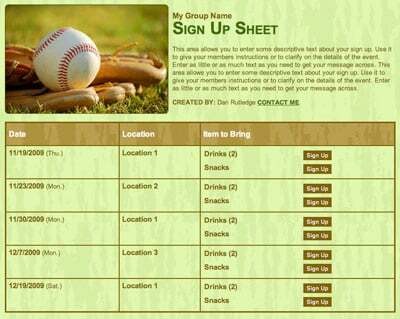 Call in the Reserves - If you have schedule conflicts (or are over it when it comes to sports travel), consider sending a grandparent or favorite uncle or aunt who would enjoy the bonding time. Get Spare Change - Go to the bank and get a roll of quarters (or two) and some detergent if you will be playing several days of games and uniform stank is too overwhelming for your hotel room. Ride Together - For weekend trips, carpooling is a great option for families you know well. Pitch in on all the expenses your child will need so that it’s not stressful for the other family. Genius Tip: Use these 20 sports carpool tips and tricks. Get Trip Insurance - If you plan to fly, it’s smart to get trip insurance. Just be sure to read the fine print for any restrictions or limitations on what is covered. You never know if your athlete will fall ill or develop an injury before the tournament. Borrow or Rent What You Can - Use social media to ask for loans of car top carriers (great for stinky equipment), trailer hitch platforms (for coolers or tubs) and extra equipment that you won’t need again. Pick Priorities - Think about your top needs: whether it’s proximity to the venue, the ability to cook your own meals, free breakfast or shuttle service to local attractions (in case you carpool or don’t have a car available). Reserve a Block - Plan ahead to book hotel accommodation as a group of families so that everyone can take advantage of discounts or group rates. Ask the Tournament for Referrals - Check for hotels that are official sponsors for the tournament and take advantage of any special pricing and perks. Make an Eating Plan - Dining out isn’t always the friendliest on tummies — something important to consider when you’re trying to fuel athletic performance. Save on eating out by opting for hotels with kitchens or choose a condo or house from a short term rental website. This way, team families can plan meals together. Pack an Attitude of Family Togetherness - It may sound like “spin” and in a way it is, but if your whole family is going along, it won’t hurt to prep everyone to work together, be flexible and make the best out of circumstances. Keep Everyone in Mind as You Pack - Include favorite blankets, bedtime buddies, nightlights and maybe a white noise machine (or download one to your phone). Another idea is to download a large-scale digital clock onto your phone and put it where everyone can see it when they wake up in the middle of the night in your curtain-darkened hotel room. Pack Gear and a Cooler - These are the essentials. If the uniform and sports equipment is in the car and you have a cooler that can hold some rations, you can get pretty much anything else on the road if needed. Pack Healthy Foods - Items like tortilla roll-ups with lunch meat and cheese, crackers and sausage, fresh packed fruits and veggies are good staples for the traveling team. And pack coffee or know where to get it. Priorities. Bring a Wagon - It never hurts to have a folding wagon in case the layout of the sports venue includes lots of walking and hauling all of the gear you will need. Other items to consider are a canopy tent you can share with a few other families for breaks from the sun, folding chairs, a couple of blankets for the ground and cushions for hard bench seats. Check the Weather of Your Destination - Plan accordingly, including sunscreen, hats, lots of clothing layers/gloves, etc. This is also important if you will be driving through tricky weather conditions: figure in time for slowdowns and traffic. Go Old School with a Map - In case for some reason your cell service isn’t great, get maps of the route and the destination. You can also play a fun road trip games with the map (see below). Pack a First-Aid Kit - For minor injuries, keep a sports first-aid kit handy in the car. This should contain supplies such as wraps, bandages, wound cleaner and cold packs. Contain Smells - Your athlete is bound to work up a sweat, and the last thing you want on your car drive home is all those smells trapped in a small area. Make sure your child changes into fresh clothes if you’re leaving straight from the last game, and pack a sealable laundry bag where you can place all the dirty clothes. If you’re worried about any stains, bring a laundry pre-treater with you. Travel Trivia - Map out your route to see which states or cities you’ll be passing through. Look up fun facts about those places — particularly ones that are inspired by sports — and test your travelers’ knowledge. Mascot Match Up - Play some speed rounds where you call out the college or professional teams and players have to guess the mascot. Mix in the well-known with team nicknames that will make everyone laugh. Play Mad Libs - Did you know Mad Libs now has a mobile app for spur-of-the-moment, word-fill-in fun? Look up the Sports Mad Libs to get your athlete’s juices flowing. License Plate Mash Up - Look at the letters on a license plate and ask everyone to write down a silly phrase explaining what the letters might stand for. Hand the slips of paper to the shotgun passenger who reads all the entries aloud. Everyone votes on their favorite. Map Search - One person looks at a road map and finds a small town, village, river, etc. That person announces the name of the place she has chosen. A second player has 60 seconds to look at the map and try to find the secret place. Last Letter Chain Game - You can play this with sports-related words or grocery store items — or even things you see along the road. The idea is to name something and the next person has to think of something or someone that starts with the LAST letter of the previous word. See how fast you can go without someone stumbling. Virtual Hide and Seek - Everyone gets a paper and writes down their name and a place in the house or school or other familiar destination (favorite vacation place) and puts in the “vault” (glove compartment) where they are “hiding.” Fellow travelers ask yes or no questions to try to guess where the person is hiding in their imagination. No one can change locations mid-question because their answers are in the vault, so no cheating! Would You Rather - Sure to provoke laughs (or debate), ask your athletes questions where they have options between two hotly contested concepts. For instance: “Would you rather get paid a lot to be on a bad team or paid below average to be on an elite team?” or “Would you rather be a legendary coach or a legendary player?” Genius Tip: Browse these 50 would you rather questions for sports teams. Road Trip DJ - Play 15-second clips from songs of different eras and see who can guess the tune fastest. Bonus points if the songs are from sports movies. Art on the Go - Hand out small sketch pads or notebooks and give the shotgun rider a timer. The shotgun rider gets to yell out things she sees on the road that fellow travelers must draw — within a very short time period (think 15 to 20 seconds). The shotgun rider will pick her favorite. Make an Itinerary - Research nearby restaurants and family activities within walking or easy driving distance. Determine your priorities and schedule before the trip. Decide Ground Rules for the Destination - Check out the hotel website for quiet hours and pool requirements. It may be best to have set hours for swimming, if at all. The same goes for any excursions you will take at night or in between tournament games. Focus on Memories and Relationships - Once you arrive, don’t hole up too much in your hotel room, but take the opportunity to mingle with other families, share snacks and get to know each other. It will make all that time and money worth it, even if your team doesn’t come in first place. Stay a While Longer - If you’re visiting somewhere known as a vacation destination, you might want to plan a family trip for after the tournament concludes. This will give everyone something to look forward to, particularly if siblings who aren’t participating in the tournament are traveling as well. Think About Destination Differences - If there is a time difference or drastic altitude change at your destination, try to arrive a day or two early if possible. It’s a great idea to get your players acclimated and well-rested for peak performance. Pack Smart - Longer trips mean more clothes and supplies most of the time. Consider space-saving bags for clothes and only bring items that are truly necessary. It’s fine to bring items you can dispose of or recycle along the way. If sports travel has become part of your reality, embrace this season of life, plan ahead with these tips and make some great memories with your athlete! Happy team travels, sports fans! 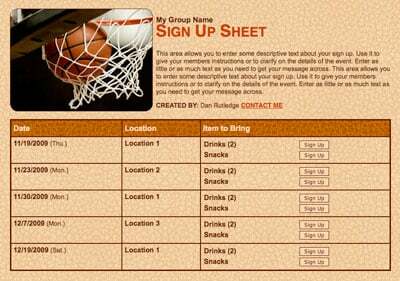 Collect money for a coach's gift with a sign up.